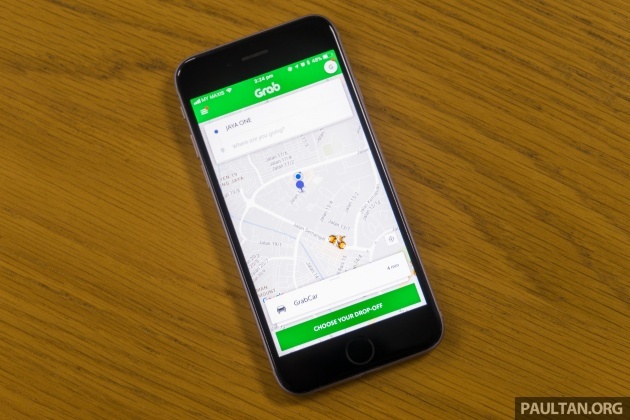 Grab has announced that will begin charging customers a fee if they cancel a ride after five minutes of getting a driver, or if they are beyond five minutes late to their ride and the driver has to cancel as a result of that delay. As outlined in its updated passenger cancellation policy, which takes effect from March 25, the company said passengers who cancel a ride after a five minute period (or three minutes, in the case of GrabShare) will be charged a cancellation fee ranging from RM3 to RM5, depending on the service booked and the type of vehicle that is employed. For GrabCar, JustGrab, GrabShare, GrabTaxi (metered or executive) and GrabCar Plus, the cancellation fee is RM3, while that for a six-seater GrabCar/JustGrab and 10-seater JustGrab will be RM4. As for GrabCar Premium or GrabCar Luxe, the fee is RM5. The ride service provider said that in the case of passengers showing up late, a five minute leeway (or three minutes on GrabShare) is provided. If a passenger does not show up by then and the driver eventually cancels the ride, the passenger will be charged RM5. If a customer is on GrabPay, the amount will be deducted directly from his/her GrabPay credits balance or credit/debit card. For those using cash, the fee will be added automatically to the their fare on the next ride – the driver on the next trip will be informed to collect this fee on Grab’s behalf to compensate the driver for the previous ride that was cancelled. The company added that 100% of the cancellation fee goes to the driver to compensate for his or her time on the road. The company said that any cancellations made within five minutes of getting a driver will not have any fee imposed. Cancellation fees will also be waived if a driver does not arrive within 10 minutes after the first-shown estimated time of arrival. For example, if a customer is allocated a driver who is three minutes away but has to wait for more than 13 minutes for the driver, and finally cancels the booking, the fee will be waived. Nonetheless, in situations where the driver is taking too long to arrive and the customer wants to cancel, the company encourages the customer to first check in with the driver via call or GrabChat. The company said customers need not fear that they will be charged in cases where the driver fails to get to the correct pick-up location or when a driver does not adhere to – or cancel the ride earlier than – the designated wait time period. It said if a driver cancels the ride before this waiting time is up, the customer will not be charged, but the necessary penalty against the driver will be taken. 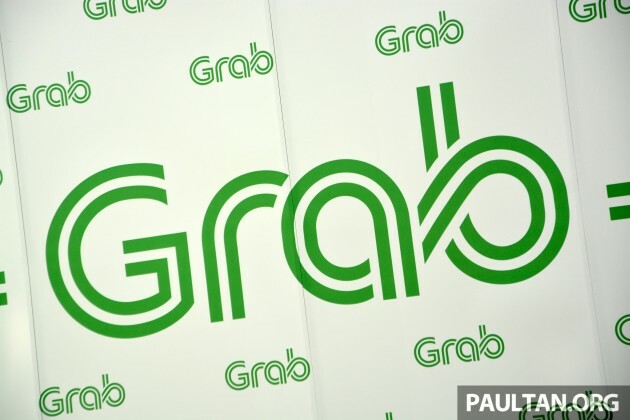 Grab said it expects the policy update to affect less than 1% of bookings, saying that most passengers don’t cancel after booking. yes this cancellation thingy is much needed else many riders think that cancelling is a norm when the car they requested is not to their liking like axia and myvi. they pay little but wants a vios or city. This policy makes rakyat choose Teksi more than this. Pls close Grab! if cancel on 4min 59seconds will be charged? greedy buggers. everytime also driver cancel ride. or simply accept rides. Drivers dun cancel rides once they pickup the hail otherwise they get a bad review. Its picky customers that call few drivers and take the 1st one that comes then to heck with the poor other drivers. Drivers don’t just simply accept rides. Drivers have to switch on auto-accept in order to qualify for any incentives and 20% Grab commission deduction (otherwise it’ll be 25% for drivers who registered after March 2018). But totally unfair for passengers. Especially when you in a hurry but waiting for the driver for 15 minutes and then he cancels passing nearby. its because alot of cheating passengers. book and then cancels because getting small car. ive witness it at BSC where a group of young chinese girls cancels it right next to me at lobby just because they dont like the car. i drive civic turbo. i think they’ll like my car. ive even seen at KL Sogo where a group of young kolej girls cancels it right next to me at lobby just because they dont like the driver. anyone with silly lashbacks on this move? This is a good move. I support it. Pity the drivers. U do talk sense when ur sober. Bravo! Sombong. Better i take teksi..
What if Grab cancels the request? It happen to me before. After waiting for my Grab car for 20 minutes at KLCC, the driver informed me that he had cancelled my request. So can I claim to Grab for the cancellation and wasted waiting time? can we charge them back? Driver simply refuse to accept request. They seem to have ‘operating territory’ after 10 minutes of trying and getting refused by at least 5 drivers (based on map display), i called up my brother to pick me up. On the cancellation fee, it should go to the driver whenever customer cancel after 5 mins as the driver already ‘cost incurred’ trying to get there. I don’t know if u read the whole news or not. Because it is clearly stated that 100% of the cancellation fee goes to the driver. fair enough applying the charges for cancelling the ride..
on the other end are you compensating the riders when the drivers cancelling the ride? What about if the driver say it can’t come to my place cause it is unreachable? Shall i be the one who cancel? Cause my account was blocked once because of that case. I hope this cancellations fee goes into driver pocket in full rather than GRAB leeching 50% from it! Please take care of your driver, without them, GRAB just a empty apps…. The penalty fee goes to the driver in full. In fact, for some time already, Grab has been paying drivers the same penalty fee out of their own pocket for riders who cancel after 5 minutes or no-show after 5 minutes of driver arriving. Now they are making the late/nuisance riders pay instead. How about the rider make the report so that grab can take action? Same should apply to Drivers who cancel, fair both ways. Be careful when using grab pay. When the driver is almost there u will see the amount already deducted. This happen to me when the driver almost arrived my money deducted but driver overshoot and go wrong way. He pusing2 for 30mnt still cannot arrive. I cannot cancel cos money already deducted. He called me to cancel becos he too far already. Wtf i already paid. Next time i only use cash. what happen if the driver cancel? Either way Grab company wins. You cancel, money goes to driver, driver happy company happy, driver cancel, money goes to Grab company happy. Grab better make sure the lir tracking system is robus. Many times the apps lapsed, showing the car still at distance then suddenly bam, the car show up in front the maps suddenly show car location correctly. I have wondered for so long why Grab app uses proximate location of clients, this makes drivers hard to find them. Google has long used latitude and longitude coordinates which look like this 40.741895,-73.989308. This will give the exact location. Proximate location (selected by the app from the list) is many times not very “proximate”. Uber now just a stake holder in Grab. Consumers taken for a ride instead. fair or not, this is the price we have to pay when monopoly takes place. You don’t like? try find another e-hailing service. Good luck. We used to have Uber. This is just a cancellation fee. If u din want to hail a ride, then DUN hail a ride and waste pipus time and petrol reaching u.